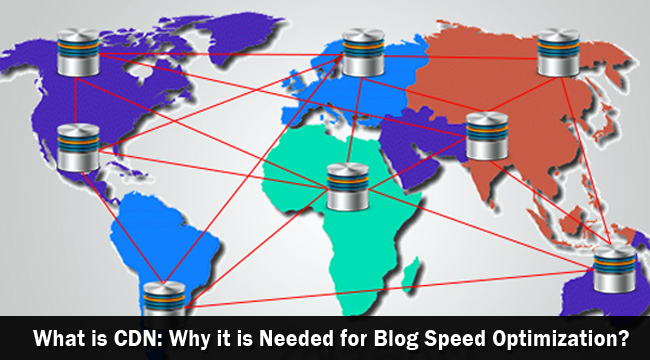 BloggingTips.Guru Web Hosting What is CDN: Why it is Needed for Blog Speed Optimization? What is CDN, and why should you use it when there are several front-end web performance optimization (WPO) solutions available to speed up WordPress? Caching plugins such as W3 Total Cache can speed up server speed and WordPress download times, so why should a content distribution network be required for blog speed optimization? There are few doubts that slow-loading websites and blogs experience significantly higher bounce rates than those with faster loading speeds. This not only means you are losing potential visitors, but also that your ranking will be affected. Bounce rate is one of Google’s ranking factors. Nobody likes a site that loads up slowly, so with that in mind let’s discuss CDN and whether it really helps to improve that, and what other factors it can speed up on your WordPress blog. When somebody visits your blog they would normally load this static content from your web host’s central server, wherever in the world this is situated. 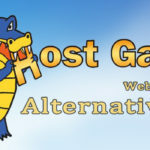 Taking HostGator as an example, this would be Houston, Texas. Everybody’s static content, whether they are located in Houston, China or England, would be accessed from Houston. Great if you are a Texan, but not so good in Korea! A CDN is a network of servers located on the internet in data centers located in a variety of geographic locations. Your static content is stored on every server on the network, and supplied to the user from the nearest server to their location. So the larger the network the more effective the CDN. This system can significantly reduce latency, the time between a host server receiving, processing and delivering a page resource such as an image or CSS file. The greater the number of objects on a page, the longer the latency delay. Each individual object is associated with a different request to the server. Fussy pages would, therefore, take longer to resolve completely than simple pages. Your website or blog is not intrinsically loading faster, because without CDN it would still appear fast to a Houston visitor. The further away you live from the main server, the slower it will appear. There may still, therefore, be a relative delay if a visitor is remotely located from the nearest server in the CDN. Latency can add anything from 100ms to 3 seconds to your load time, the latter generally relating to mobile devices used to access your blog. Considering that it is only one of the factors that affect your load speed, this is a significant figure. WPO can be used to consolidate transmitted packets, so that fewer have to be transmitted, thus reducing latency. Compression also reduces package size, as can arranging the cache so that it is loaded with static content the order they will appear on the page and pre-loading pages reasonably expected to be called up next. None of this, however, reduces the need for CDN in blog speed optimization. Another benefit of a CDN is that there is less likelihood of a crash. If one server crashes, your information is still stored on the other server in the network and can still be accessed. It also significantly increases to the number of concurrent server users, which in itself reduces the likelihood of outages. While 100% availability is claimed to be achievable, it cannot be guaranteed. Does the Choice of CDN Matter? Yes – absolutely. They are not all the same. 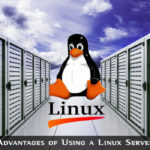 In order to find the best for you, you will have to find out which provides the nearest server to you. It is the proximity of the server to your device that matters. Also important is the bandwidth and speed of your internet connection. The greater the bandwidth, the higher the capacity of the network so there is less likelihood of congestion. Latency will therefore be less likely to be affected by the number of users. The faster the speed, the lower the latency, because it will take less time for static data requests to reach the server and the data returned back. However, none of this makes any difference to the benefits of a CDN – the percentage speed increase will still be the same. The relative blog speed optimization is unaffected by bandwidth or internet speed. CDN systems are generally more effective with desktop devices that with mobiles. There is still a small advantage in using one, but the results are not nearly as dramatic as with desktops. As mobile speeds increase this absolute advantage in speed reduction will doubtless also reduce, but once again, the relative advantage will remain constant since that is a function of the CDN and not the transmission speed or capacity. Who Needs a Content Distribution Network? Although the increase in speed can be dramatic, not everybody needs a CDN. If you live locally to the main host server, you have no need for one. The further you are away from your WordPress web hosting service then the more you will benefit from using a CDN. Also keep in mind that a content distribution network is designed to solve only one speed issue – that of latency with regard to static content. In fact, it also works with some dynamic content, although is not its primary function. Front end processing and third-party content are unaffected by CDN, and it is often recommended that you use it in conjunction with WPO such as a W3 caching plugin. The primary benefit of using a CDN with your blog is that it can offer a dramatic increase in the loading speed of pages due to a reduction in latency. This refers to the time required for a server to receive a request for static content, retrieve that content and then deliver it. This results in faster loading pages and a lower bounce rate. You are therefore more likely to retain visitors who may otherwise click away during the loading process. Since bounce rate is a ranking factor, you are more likely to receive higher Google rankings than you would without the CDN. Such a CDN network is less effective with mobile computing than desktops, and the blog speed optimization attainable increases with increasing distance from the nearest server in the network. A CDN does not negate the need for other means of speeding up performance such as front end WPO including caching solutions.